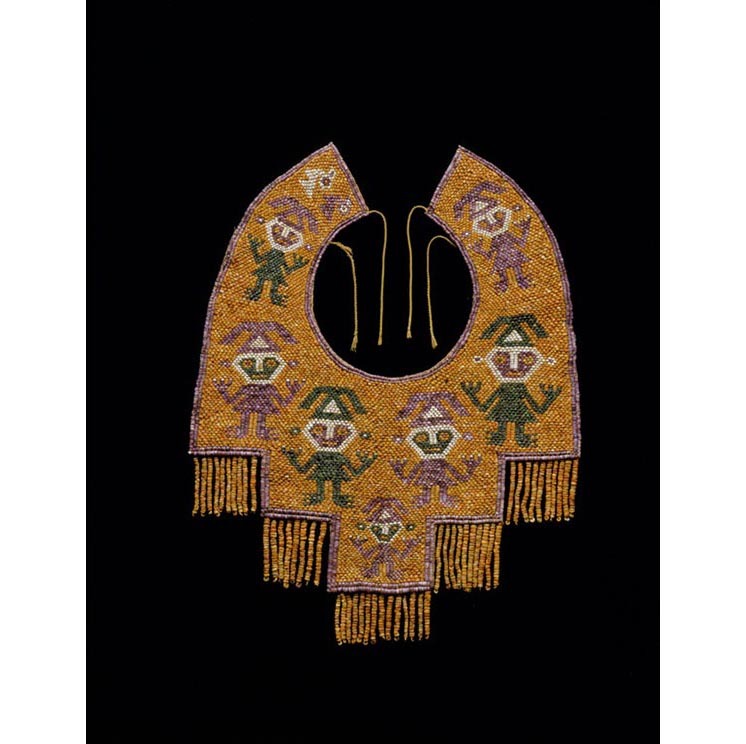 Gold nose adornments, feather paintings, and beaded shell collars. These are some of the objects featured in the Getty’s current exhibition, Golden Kingdoms: Luxury and Legacy in the Ancient Americas, which traces the development of luxury arts in the Americas from antiquity to the arrival of the Europeans in the sixteenth century. We visit the galleries with co-curators Joanne Pillsbury, Timothy Potts, and Kim Richter who discuss how the study of objects made of gold, jade, shell, feathers, and other stones from this region reveals different perspectives on value and luxury. Joanne Pillsbury is the Andrall E. Pearson Curator in the Department of the Arts of Africa, Oceania, and the Americas at the Metropolitan Museum of Art; Timothy Potts is director of the J. Paul Getty Museum; and Kim Richter is senior research specialist at the Getty Research Institute. JOANNE PILLSBURY: This is about anchoring ideas, concepts, value, permanence in our fleeting existences. This is about how to inscribe in objects some of the greatest concerns of individuals at anywhere and any time. CUNO: In this episode, I speak with Joanne Pillsbury, Kim Richter, and Timothy Potts, co-curators of the extraordinary exhibition Golden Kingdoms: Luxury and Legacy in the Ancient Americas, one of the Getty’s contributions to Pacific Standard Time: LA/LA, Latin American and Latino Art in dialogue with Los Angeles. Golden Kingdoms is an exhibition that takes us back to the early kingdoms of the Americas. It reveals the region’s centuries-long preoccupation with beautiful and powerful objects made of gold, silver, feathers, shells, textiles, jade, and other stones. Artists from the Incas to the Aztecs articulated their deepest beliefs and highest aspirations through the creation of objects of exquisite beauty. 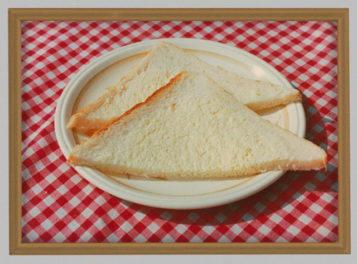 In this way, these works make us question our modern understanding of “luxury” as incidental and even superfluous. We begin to see “luxury” as something attached to and deriving from the deep wellsprings of culture. The exhibition is part of the Getty initiative, Pacific Standard Time: LA/LA, Latin American and Latino Art in Los Angeles. PST, as it’s called, is an ambitious exploration of Latin American and Latino art in dialogue with Los Angeles, taking place from September 2017 through January 2018 at more than 70 cultural institutions across Southern California. I recently met the curators of Golden Kingdoms in the galleries at the Getty Museum to talk about the exhibition. Joanne Pillsbury is the Andrall E. Pearson Curator in the Department of the Arts of Africa, Oceania, and the Americas at the Metropolitan Museum of Art. ; Timothy Potts is director of the J. Paul Getty Museum. And Kim Richter is senior research specialist in the Director’s Office at the Getty Research Institute. JAMES CUNO: Joanne, tell us about the theme of the exhibition and why the emphasis on gold and luxury. PILLSBURY: This project is born, really, of the tension between what we tend to think of inherent or universal values, such as gold, and what the Incas, the Aztecs, the Maya, and the many other civilizations that thrived in ancient Latin America would have thought of as valuable themselves. And so what we decided to do is follow the line of goldworking in a wonderfully sort of counterhegemonic way. It starts in the south, high in the Andes, and then it moves north across the Americas. CUNO: And when was that? PILLSBURY: Goldworking really begins perhaps as early as 2000 BC. The first objects in the exhibition, the first works of regalia, date to about 1800 BC. And we decided to follow the golden road. And that provides our narrative and our trajectory. But a counter narrative, if you will, is how other materials were probably considered of far more value in the ancient Americas. So it’s an opportunity to explore these ideas of materials and meanings and really touch upon a very human, very universal desire to anchor belief, values, and permanence in a world we know to be evanescent. CUNO: Yeah. How early in the making of gold do you recognize that the gold has significant powers, powers of exotic attraction, powers of efficacious contributions? How early does that start? PILLSBURY: Well, one of the interesting aspects about metalworking in the ancient Americas is metals across the Americas are primarily about ritual and regalia. Metals are first and foremost used as an art form for gods and kings. Metals are only secondarily used for weapons or for tools in the ancient Americas. These are works that were considered efficacious. They’re made of materials that were considered divine. They’re made of materials that were either inhabited, extracted, or consumed by gods. CUNO: How did the gold road start? I mean, how did gold get transported from one to the next? And was it recognized as powerful all along the golden road? PILLSBURY: Well, one of the interesting details about this exhibition is metalworking actually doesn’t travel all that quickly. Metalworking moves north. It gets to Central America, you know, certainly by the first centuries AD, perhaps a bit later. And gold itself really only starts to be used extensively after about 1000 AD. And it moves, what we would consider relatively slowly, in part because it’s so closely associated with these divine powers, with ritual practice. And indeed, when metalworking moves north into Mexico, you would think what they would love, what they would interested in is, oh, that’s really useful for making chisels or for needles and things like that. And they do do that to a certain degree. But among the first works to be created in metal are bells, because what they appreciate are these other qualities to the metals—the sonorous qualities, the quality of reflections, this idea of divine embodiment. In Colombia, for example, we know that the Kogi in the early twentieth century would put their gold ornaments out in the sun to regenerate. These materials are very closely associated with divine power. I think now we tend to speak about luxury arts as superfluous things, things beyond the necessary. But in the ancient Americas, these works were considered critical as social and spiritual agents. They were crucial parts of political and divine authority. CUNO: Yeah, it’s very clear in this exhibition that there’s more other kinds of materials valued other than gold. How do we know which was most valued? Kim? KIM RICHTER: Well, there are many different types of objects, many different types of material in this exhibition, because we really want to emphasize that gold was not always necessarily the most valued luxury and precious material in the ancient Americas. So especially once we get to Mesoamerica—so this is the area of what is today Mexico, Guatemala, Belize, El Salvador, and Honduras—other materials, especially jade, were very, very important. And this begins in the pre-classic period, so around 900 BC, with the Olmecs, who lived primarily on the gulf coast of Mexico. And they used jade very heavily, that was imported from long distance, from the Motagua River valley and what is today Guatemala. So hundreds of miles further south. And they used these green stones ritually and deposited them in a sacred precinct. Feathers and turquoise becomes very important during the postclassic period, so after 1000 AD. And it is imported from the American Southwest. And the Aztecs—or they’re also known as the Mexica—these were the last empire in what is today Mexico before the arrival of the Spaniards. Their ornaments, even though they did work gold, their main ornaments were made of turquoise mosaic. So they had a turquoise crown and a turquoise nose ornament. But to your question about the importance of gold and how we know about the importance of and meaning of gold, these are many cultures that didn’t have writing, and so we know about them through archaeological contexts. But we also know about the meaning of these objects and these materials through colonial sources. And so for example, in sixteenth century Mexico, it’s recorded that the indigenous term, the Nahuatl term for gold was teocuitlatl, which means divine excrement. And it’s thought that gold was very, very precious. It was divine matter, because it was matter that came from the sun. And when the sun traversed the underground, it deposited gold in the underground, which then came up through the rivers, where gold nuggets were found and it was worked. And so it was literally parts and bits of the sun. So you can imagine, this is why they’re not using it for tools, right? CUNO: Yeah, yeah, I can imagine. CUNO: Now, Tim, you’re a specialist in the cultures of the ancient Near East, and you’ve done an exhibition, an important exhibition, on the archaeological remains of ancient China. Were power, beauty, and luxury intertwined and mutually reinforcing in those cultures as they seem to be in these pre-Columbian cultures? TIMOTHY POTTS: Yes. Absolutely. Of course, there are certain commonalities. Gold, pretty well all—in so many cultures of the ancient world, because it is miraculously—you know, it doesn’t decay, it doesn’t deteriorate, so it has this magical gleaming quality. All of the cultures in which—which are in areas where it can be found throughout the Near East—Egypt, famously, of course, but then in China and elsewhere—you do see an interest in gold. And it tends to be associated with kings and very elite context because it is rare. And it is purely decorative. It’s not used for tools, also because it’s so soft. I mean, it really doesn’t function for any utilitarian purposes. So it tends to be decorative, but decorative with meaning. The iconography, the images you see, images of kings, of gods, other forces in nature—you know, gold is one of the materials which is recurrently applied to that. And interestingly, you mentioned China, there’s of course, a very strong tradition of working greenstones—hard jades, jadeites and so on—in China as in the pre-Columbian world. And indeed, they—the practice of applying cinnabar, red cinnabar, to jade is similar in both contexts, which many people have remarked upon. So there are interesting parallels. Sometimes, of course, they’re purely coincidental. But we do see those bright, colorful stones, metals recurrently in context, prestigious contexts in the Old World as well as the New. CUNO: Well, okay, let’s look at some objects in the exhibition. Joanne, tell us about these nose ornaments and describe them for our listeners. And tell us why nose ornaments to begin with. PILLSBURY: What we’re seeing here are six of what were originally forty-four nose ornaments that were found in a mummy bundle—one can never have too many nose ornaments. These were found in the tomb at a site known as Huaca Cao Viejo. It’s on Peru’s north coast. And it was an important ritual center just on the edge of the Pacific Ocean. Now, this exhibition, we follow the golden road. And so we start in around the first millennium BC and then we go into the first centuries AD, what archaeologists once called the master craftsmen period. And in this period, you see an extraordinary outpouring of creative energy and experimentation with metals. So these forty-four nose ornaments were created joining together silver and gold. And it seems as if in the ancient Andes these materials had deep and abiding beliefs associated with them. Gold was associated with the sun and with men; silver was associated with the moon and with women. And so these nose ornaments are these wonderful combinations of gold and silver. These were made by artisans of the Moche culture probably around 400 AD. And the Moche were very interested in ideas of complementarity of balance. And we see this in the materials, but also in the compositions here. These little nose ornaments are, all forty-four, of a similar size, just a few inches across. But each design is different. And these designs are unique to the individual and the person in the tomb. The imagery, we see back-to-back crayfish joined together with a wonderful crab in the interstices. And we see a whole array of marine life depicted. The Moche artists were great observers of the natural world. 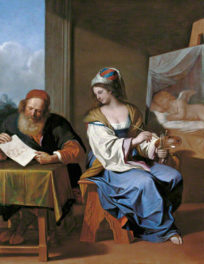 But they were also great artists and they loved to play with design compositions. And so even some of the ornaments that we would think of as these wonderfully bold abstract forms are actually highly abstracted representations of catfish. So they were masters of metallurgical techniques. They developed new types of technology, centuries before similar ones were developed in Europe. So they really were the masters of the universe in the first centuries AD. CUNO: I guess one of the obvious questions about this is whether these were worn in life or only in the mummification process. What role did they play, these ornaments? PILLSBURY: [over Cuno] Well, that’s one of the wonderful things about this exhibition. My co-curators and I, we were very keen to focus on specific places and time, because you can tell a much richer story. So we’re really foregrounding recently excavated works, because it’s having that precision, that granular level of evidence, that we can draw together new connections; we can see how these luxury arts traveled through the Americas, how these ideas moved across regions. It was a great opportunity to reimagine the ancient Americas unbounded by modern national boundaries. But in this particular case focusing on excavations that were carried out at the site over about a decade ago, archaeologists who worked there, the principal archaeologist, Régulo Franco, when they came across a major tomb, they thought, oh, well, it’ll be an important lord, it’ll be a very important male ruler. But as they did the excavations, they found this mummy bundle. And the mummy bundle contained an extraordinary array of things. It contained huge war clubs and spear throwers, things associated normally with men. But it also included many layers of beautiful dresses and weaving tools, things normally associated with women. When they opened up the mummy bundle, they discovered that the person enwrapped in this mummy bundle was a young woman, a woman in her early twenties who perhaps died in childbirth. So she seems to have died unexpectedly, early. And so some of the things in her tomb seem to have been made in haste, such as her frontals to her headdresses. But her forty-four nose ornaments, those clearly seemed to have been things that she wore in life as great symbols of authority. Actually, the archaeologists actually found that two of the nose ornaments were intentionally placed in her mouth before the tomb was sealed, before the mummy bundle was wrapped. CUNO: Do we know that they had a thought about what role these ornaments would play in the afterlife? PILLSBURY: According to some of the historical documents, and as Kim mentioned, in the ancient Andes there was no tradition of writing as we know it. So we’re heavily dependent on the first accounts of the Spanish priests, the conquistadors and the administrators who came. But according to some of these sixteenth century accounts, the idea of an afterlife includes an overseas journey, a maritime journey, a journey into the underworld through water. Whether or not these nose ornaments refer to that, or do they refer to a generalized idea of abundance? Again, the site is just on the edge of the Pacific Ocean and one of the world’s richest marine biomasses. This is the Humboldt Current that is off the coast of Peru. And so I don’t think it’s a direct reference to dinner. I don’t think this is about ceviche. I think this is about much more of a generalized idea about abundance and the blessings of civilization. CUNO: Okay, Joanne, what about this collar, which is made of shell and malachite? You say it was reportedly found in Chan Chan in modern day Peru. What was Chan Chan, and what is the significance of this collar in that context? PILLSBURY: Chan Chan was the capital of the Chimu state. The Chimu were probably the single greatest threat to the Inca Empire. I think Inca is a term that’s well known to many, but the Inca were actually the last of many complex polities that preceded them. We know a lot about the Inca ’cause they were the ones who were there when the Spaniards arrived. But actually, the Inca state really rose up only in the fourteenth century, so not that long before the arrival of the Spaniards. And the Inca were great imperialists, and they incorporated things that they learned from the polities that they conquered. And they conquered Chan Chan, and this was a rich target for the Inca. It’s actually one of the largest pre-Hispanic cities in the New World. And it’s a city that was filled with artists. Archaeologists think that perhaps as much as a third of the population of the city was engaged in craft production, artistic production of some sort or another. CUNO: [over Pillsbury] Is that because just the volume of materials left behind? PILLSBURY: And the number of workshops. Yes, yes. And so I mean, the farmers are going to live closer to their fields. But the craft production was very important. And indeed, the craftsmen from this city were famed for the quality of their work. Actually, the fame of their craftsmen, particularly their metalsmiths, was ultimately their undoing. Because when the Inca conquered Chan Chan, the first thing they did was they kidnapped the artists and they pressed them into service in Cusco. And I think this reminds us of the importance of artists in statecraft, how important these individuals were in the operations of imperial splendor and power. CUNO: Well, describe the collar for us. It’s got these shells dangling from it, so you can imagine if one was wearing it that it would make a noise and it would move about. PILLSBURY: Yes, the sonorous qualities, the sense of sound, was very important in ancient American objects. There’s a way in which you would hear the king or queen as much as you would see them. And the sound was important in creating this vivifying effect, this kinetic effect. There’s a sense that these materials are alive, they’re efficacious, they’re embodiments of power. This is a shell pectoral or a shell collar. And it’s made up of thousands of tiny beads made up of different types of shell and malachite. It would have been suspended around the neck by cotton cords. Those are actually the original cotton cords. The coast of Peru is one of the driest deserts in the world, so the preservation is extraordinary. And it’s extremely well made. Each tiny little bead was double strung. The shell itself, though, the primary shell that was used in this brilliant orange and purple and green collar, the shell is known as the thorny oyster of the Pacific, Spondylus. And color is actually made of two species of Spondylus, Spondylus princeps—that’s the bright orange—and Spondylus calcifer, which is the purple border and some of the figures. We see these great, powerful figures depicted in shell. They’re wearing crescent headdresses, which associates them with divine powers. And they’re wearing large nose ornaments. So it’s a wonderful formal representation of power. But more importantly, I think what people would’ve recognized is the material, because for the Inca and the Chimu, and probably hundreds if not millennia earlier, Spondylus shell was considered far more valuable than gold or silver. And in many ways, it makes a much greater precious material. It had to be imported from a considerable distance. Under normal conditions the shell is found in the tropical waters, normally father north, from the very, very, very northern part of Peru, but really into Ecuador and farther north. It had to be imported. It first of all, had to be obtained. You had to dive for it. It’s a considerable free dive, in an era before diving tanks. CUNO: What our listeners can’t see these are very, very small, cereal-sized [Pillsbury laughs] pieces of shell [PILLSBURY: Cheerios. Smaller than Cheerios.] which were then tied one to another by having been carved out in the center, so that the string can go through them. How was that even possible to get a shell into these pieces? PILLSBURY: Well, one thing you can do is that you can string saw the spiky elements of the Spondylus, and those spiky elements are hollow, and that’s one way to make the beads. But this collar speaks to an extraordinary power over resources. And so it’s a great symbol of rulership because it shows that you have the power to obtain resources from distant places, but you also have the power over labor resources, that you have the great workshops. You can have the best artists working for you and devote the time to make these things that are very, very labor-intensive. But it also—you’re aligning yourself with divine powers. This is a divine material. So you’re showing that you as the ruler are the nexus between the gods and a broader population. This shell is very closely associated with fertility, with water, with abundance. The actual shell would’ve been offered to springs, to streams. These shells, Spondylus shells were called “the daughters of the sea, the mother of all waters.” So the shell itself was considered to be essential to the bringing of fertility. They would be placed in agricultural fields, they would be emulated in ritual vessels. So the ruler would be working off of a number of levels of symbolic importance with a spectacular work such as this. CUNO: How do we know in what capacity that they were worn? Are there paintings or other means of iconography that gives us that information? PILLSBURY: Yes, there’re some wonderful depictions, not only of individuals wearing this regalia. But you also, interestingly, see depictions of shell divers on the palaces at Chan Chan. And in many ways, that was the kernel, [she chuckles] the shell that started thinking about these issues about relative values. It prompted the question, why do you depict shell divers on the wall of a palace? But if these shells are so remarkably important in your worldview and you contain them within your palace, you’re positioning yourself as an individual who can provide for a broader population. CUNO: And as we walk over to this next object, this royal tunic, we’re reminded that we’ve stopped and looked at silver and gold and on to shell, and now we’re at cloth. And that’s one of the themes of the exhibition, that luxury is not found in a single kind of material but spread across many different materials. Tell us about the royal tunic. PILLSBURY: This is the sole surviving complete example of an Inca royal tunic. And it is perhaps one of the greatest tapestry weavings known from the ancient world. It was probably created, actually, around 1530. In our field, we consider ancient before the arrival of the Spaniards. And it’s possible that this one was unfinished. But the material itself is fascinating because we’ve spoken of silver, we’ve spoken of gold, we’ve spoken of shell. But for the Inca the most important material was arguably cloth. It was textiles. 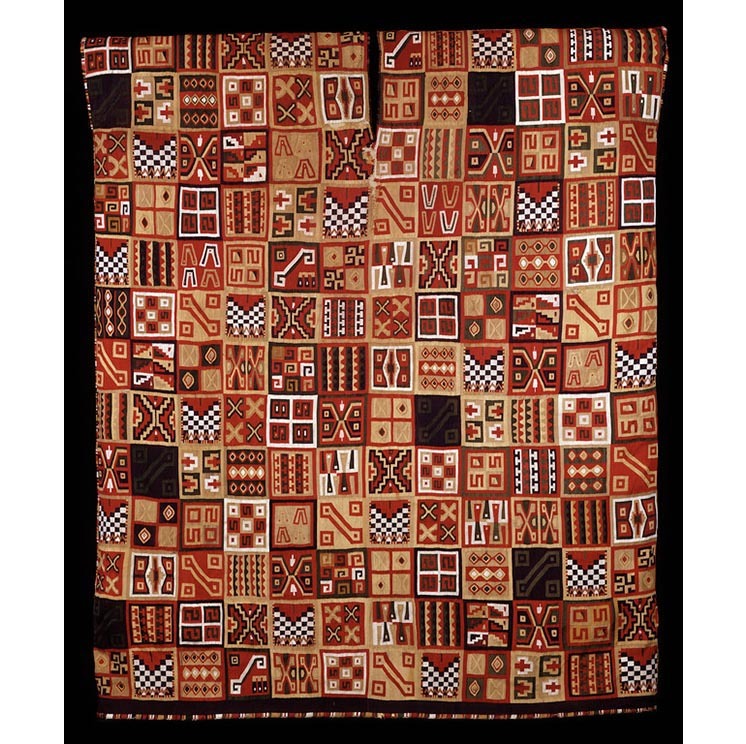 And indeed textiles were the very first artform in the Andes. Textiles predate even ceramics, in this part of the world. And they retain a certain cultural primacy through millennia. We know that the Inca crown itself was not made of gold; it was actually made of cloth. It was made of a red wool fringe. So it was a very powerful material in the Andes. And it would be one of the greatest offerings or sacrifices that you could make would be to offer a beautifully made tapestry object. PILLSBURY: That checkerboard tunic is the first thing that the Spaniards saw of the Inca royal court when they arrived at Cajamarca. So the very first description of the arrival of the Inca and his entourage and his regiments—the men were described as wearing “livery in the form of a checkerboard,” black and white with red. And so we think this is probably a military tunic. CUNO: But the repeating pattern of this checkerboard tunic in miniature in this decoration, if it’s indeed something that would associate with military, it does give you the impression that it would be a kind of state flag or something to indicate a kind of particular royal family, or something that would indicate state power. PILLSBURY: Absolutely. The checkerboard tunic itself certainly was worn only by the very elite members of the military, people very close to the king himself. And the t’oqapu, these design squares, this gathering together, this shirt that’s covered entirely with these design squares, that would be exclusively the prerogative of the Inca ruler. No others could wear that. CUNO: Are they just randomly gathered together this way or can you make some sense of the pattern and the relationships? Does everything have meaning that one can identify? PILLSBURY: Undoubtedly, everything has meaning. Discerning what that meaning is with precision has been a challenge. They seem to operate like heraldic emblems. And I think that’s as far as we can really go, in terms of interpreting this. There are other things that we can determine with precision. I mean, one thing alone is the quality of the weaving, the quality of the tapestry. It would’ve had to have been worn by the very best imperial weavers in service of the royal court. There’s something like a hundred wefts per centimeter, so like a hundred threads period centimeter. It’s extremely finely made. No other garment comes this close. And one interesting detail about this tunic that a young scholar who’s worked on this recently at Princeton, he has pointed out that the actual military tunics have a yellow zig-zag, and the little miniature version has a yellow zig-zag. And in depictions of the Inca ruler that are made later in the historic period, you see a little yellow zig-zag at the bottom of the drawings. But this shirt does not have one. And so this young scholar, Andrew Hamilton, has suggested that this was probably made at the time of the final civil wars between the last two Inca emperors or at the time of the conquest. But we also know this continued to be used and venerated and cherished into the colonial period. There’s evidence of small tears that were repaired in the historic period. So it’s a garment that was greatly loved and cherished. CUNO: One thing that one notices immediately just looking at these three different objects as we have so far, is that people did go to great lengths to decorate themselves, and that decoration was associated with some kind of power. And that’s the theme of the exhibition, in part, is that this kind of decoration, this kind of luxury that one attaches to oneself by putting on shells or putting on gold and silver or putting on these textiles of this kind, one’s putting on not just luxury, but putting on power that emanates from this luxurious, staggering quality of design and fabrication. PILLSBURY: Yeah, I think that you’re absolutely right. It’s about more than ornament. This is about power. But I think in many ways, it’s also about more enduring qualities, more universal qualities. It is about—going back to this idea—it’s about anchoring ideas, concepts, value, permanence in our fleeting existences. This is about how to inscribe in objects some of the greatest concerns of individuals at anywhere and any time. These are not superfluous things. These are not superficial things. CUNO: And that’s obvious, you can see. Let’s go on to another object. Tim, tell us about this Maya belt ornament from Guatemala. POTTS: Well, it’s made from a celt-shaped piece of jade. CUNO: Would it have been found more or less in that shape, or was it carved into that shape? POTTS: [over Cuno] Well, it might—in fact, it may have been recarved into that shape to create the flat surface on which the incised representation of the king has been made. So it may have been some centuries earlier. It could be back as old as an Olmec or early Maya work. But it was carved in the Classic Maya period in the mid-centuries of the first millennium AD. And it shows a standing Maya king in all his regalia—headdress, an elaborate belt with a face on the front of it. And dangling from the face, you see some belt pendants of exactly this form. So in a sense the image on the pendant is referring to the way it was worn itself. And you see three of them hanging down. And this was, in a sense, one of the sort of classic regalia of a Maya king, lavishly adorned with jade. And as well as the pendants themselves, the face would’ve been jade. His ear decorations, his ear spools. He’s holding a sort of—a serpent bar with ancestor heads. So he’s got this elaborate regalia. And so it’s a wonderful representation of the power and majesty and the, you know, splendid dress that they would wear. And on the back is an inscription, and it’s from the inscription that some scholars have decided that it’s more likely that the inscription—the image that was put on it would’ve been applied later. As I say, maybe in the sixth, seventh, eighth century AD. CUNO: It shows, as you say, this king wearing this ornaments like this. Do we know that they actually wear them? Or is this some just representation of kingship? POTTS: Of course, when they represent them in art, they’re representing them, this is the formal occasions. Whether they went around their palaces on a daily basis wearing this sort of thing, I’m not sure we’re in any position to know. Probably not. But of course, if you want—when you wanted to represent yourself to the world, you were shown in all of your finery. And so this is the typical way a king would be shown. CUNO: And it would’ve clittered and clacked as you as you walked along. And so it would’ve had a kind of sonorous power to it, as well, [POTTS: Yeah, absolutely] as you’ve described. POTTS: As Joanne was saying earlier, this would’ve been quite a noisy apparatus to wear, the belt pendants themselves clicking and clattering as you walked. But also, I mean, he’s more or less covered with jade. There’s jade on the headdress, the ear spools, the necklace. He would’ve been heavily laden down with jade. He’s also got [a] leopard skin kilt. And the spots on the face sort of allude to the leopard qualities of the ruler, maybe an association with a particular god. So it’s actually such an intensely detailed depiction that you have to look quite closely to distinguish, you know, where the face is and where the body decorations are and so on. CUNO: Yeah. It’s finely, finely inscribed. What kind of materials did they use to inscribe such precision as this? On a very hard stone, I imagine. POTTS: Yeah, jade is a hard material. Well, it’s mostly other stones and abrasives that are used in Maya stone carving, not so much metals. As we were saying before, there’s very little use of metals once you get to Mesoamerica. And the red color, which has been—often comes from cinnabar, which is a toxic material, but was often used as a sort of contrast on jade work to pick out the incisions. Here, it’s been reinforced, you know, with the conservation which was done on this piece. But cinnabar in combination with jade is a regular practice, particularly in burials. Often you’ll see almost all burials covered with this powdery cinnabar, which was a toxic material. Indeed, behind me is the facemask of the Red Queen, Pakal’s wife. And all of her burial is virtually covered with cinnabar. CUNO: Now what about this codex, this codex which I would call a kind of pictographic manuscript. Kim, tell us about the codex. RICHTER: This is the Codex Zouche-Nuttall. And it is a Mixtec manuscript. And it’s the only pre-Hispanic, pre-Columbian manuscript in the show. We have some extraordinary manuscripts, one more precious than the next. CUNO: The colors are so vibrant. RICHTER: Exactly—this manuscript is. And we think that in the pre-Columbian period there must have been huge libraries filled with books such as these. And today, only a handful of them survive because the Spaniards in the sixteenth century considered them to be idolatrous, containing dangerous information about deities and a way to preserve knowledge about ancient religions, and so they burned them. And so very few of these survive. And we’ve learned a lot about them. Pre-Columbian manuscripts from Mexico fall generally into two broad categories. There are the divinatory manuscripts and genealogies. And this is one of these genealogies. This is another region, the Mixteca in what is today Oaxaca, where we have one of those few cultures that, thanks to these books, we can talk about history and specific people, specific times. And we’ve learned a lot about the individual people and their political strategies, the intermarriages, the rituals they performed, their parentage, the fact that they claimed to have come from divine ancestry. And so this is really an extraordinary book that scholars have studied extensively, and so we know a lot about the individuals in this book. CUNO: Well, how did it survive when so many others did not survive? RICHTER: It must have gotten to Europe early on and then it was collected by various collectors over time, and ended up in the British Museum. Sometimes how they ended up coming to Europe is—we don’t know. RICHTER: And so what we see here is the main lord, Lord Eight Deer. And we know his name because below him is a little deer head and eight yellow dots that indicate his name. So this is the primary scene on this page. And it’s a couple. He’s sitting in front of his fiancée, his soon to be wife, and they’re engaged in the marriage ceremony. So they’re sitting in a palace, and the wife is sitting on a jaguar throne, just like him, but hers is a little bit taller, so it probably indicates that she’s more powerful and that he’s marrying up in life. And she is handing him a tripod, beautifully painted tripod, filled with foaming chocolate. And this was part of their marriage ceremony. And between them there’s a date. So we know exactly when these scenes take place. 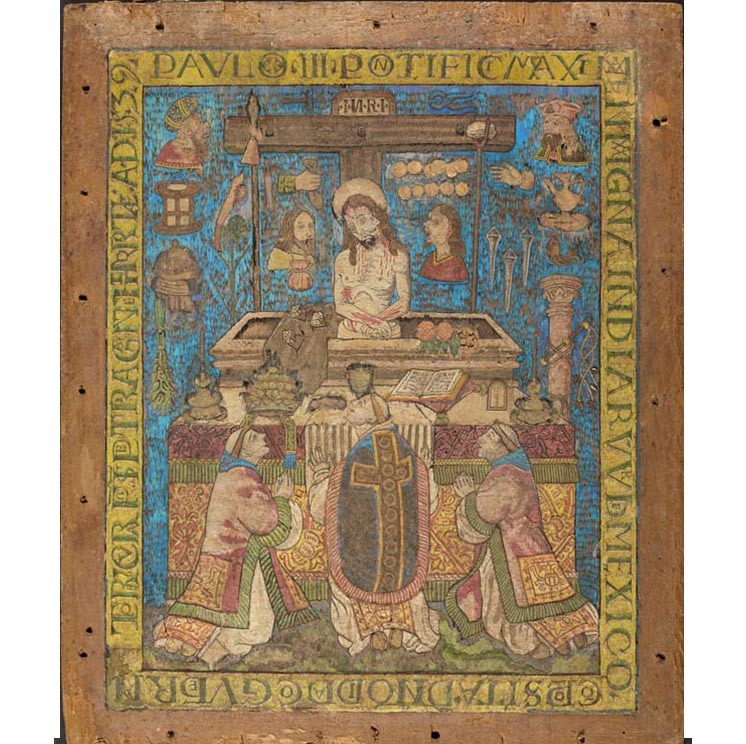 And this is in the eleventh century, so several hundred years before this codex was painted. CUNO: So they still had an interest in it that many hundreds of years later. CUNO: In the genealogy, as you were describing it before. RICHTER: Exactly. Because Lord Eight Deer, while he came from an important family he was not of the high ruling class. And so through strategic marriages and through, as we see in later pages, through a series of conquests, he really gained power in this region and seemed to have unified this region so much so that he then ended up going to a priest outside of Oaxaca. Scholars believe that he went to a high priest in Cholula and got an nose piercing, a little nose ornament made of turquoise that we then later see being used also by the Aztecs as indicating their noble lineage. And so he was really someone who perhaps unified this area and came to great power in these early centuries, and I think this why he’s being remembered several hundred years later. CUNO: That’s a great transition then to this great stone mask because that sense of power is in the silence of the mask. There’s a kind of stately silence about them. Tell us, Tim, about this mask. POTTS: Well, there’s two masks in this case, both in greenstones. One of them on the left [is] almost life size in terms of the scale of the face, but it has this cut across the top in a straight line, which was the typical manner of the masks from Teotihuacan. They’re looking straight on. Somewhat stylized but still also having the naturalistic features of the mouth in particular. The one on the right, in the Olmec style, has a cleft at the top of the head, which shows that it is associating with the corn god. And it has the most distinctive feature, more naturalistic nose and eyes, I’d say. But the mouth has this downturned lips at the sides, which is typical of Olmec material and relates to a form of the jaguar. So there’s this morphing of the human and the animal features in the one image. And they were both found deposited in the Templo Mayor, the great central temple in Tenochtitlán, the Aztec capital underneath modern Mexico City itself. So this was the center of the Aztec Empire and this temple was in a sense the heart of that. So it was a place very resonant with meaning and importance ritually. And what is interesting is that here we are with things that have been deposited in, let’s say, the fifteenth or even early sixteenth century before the Spanish arrive. And yet they’re not obviously works of Aztec art. The one of the left is in the general form of the masks from Teotihuacan, which were made around the fifth century AD. The one on the right is in the form of the Olmec art, which goes right back to the first millennium BC. Now, a lot of jade was excavated in the Templo Mayor, and most of it not from the Aztec period. So these are heirlooms. These are things which have been handed down for many centuries. In the case of the Olmec piece, if it is genuinely Olmec, it’s over 2,000 years old by the time it is deposited. There seem to be, though, a lot of discussion amongst the experts, how many of these are genuinely pieces from Teotihuacan or from ancient Maya or even Olmec origin? And how many are pieces made under Aztec rule in imitation of these earlier periods? 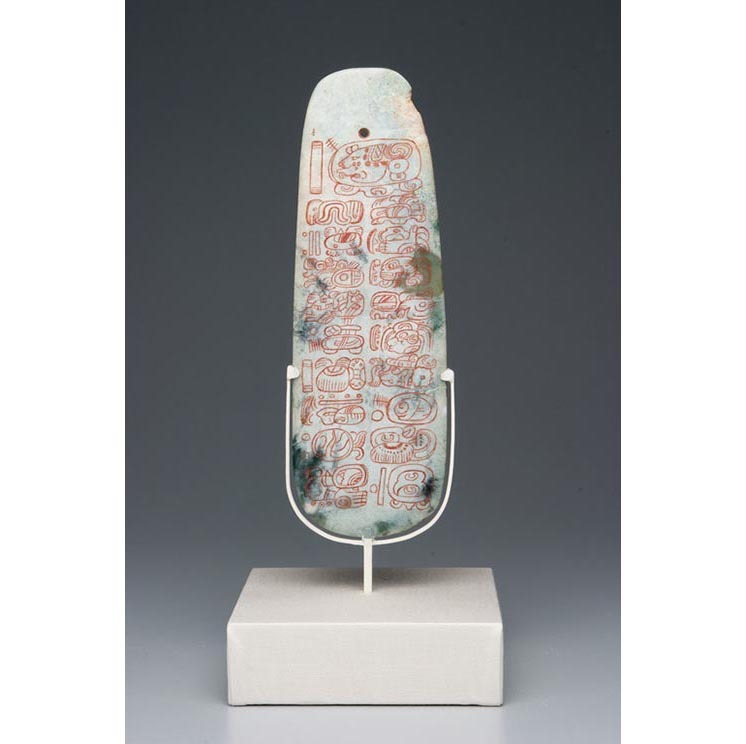 But either way, it shows a reverence and the importance of artworks that were created in these precious materials, particularly jade and other greenstones, that were still very much valued by the Aztecs. And of course, quite why they were valued, whether it was just their antiquity or because of the really meaningfulness of the greenstone, which for the Olmec and Maya, related very much to fertility, to fecundity, to the corn god and so on. CUNO: Would this have been, for the burial, placed alongside of a figure or on top of the face of a figure? I mean, where would one come across these things? RICHTER: So the Templo Mayor was the main temple of the Aztecs. It was actually a double pyramid platform. The earliest building was probably established in around 1325 when the Aztecs first settled in Tenochtitlán. This is the city, the capital of the Aztecs, which is today below Mexico City. And each succeeding emperor increased the size of this temple. And so we see seven successive building stages, each built over the next almost like a babushka doll. So there are these nested buildings. And with each phase, we see these deposits, these ritual deposits made in the temple. they’ve analyzed the indigenous toolkits with which these objects were made. And so there has always been this debate: are these these heirlooms from earlier periods, or where they actually made in the fourteenth and fifteenth century by the Mexica or the Aztecs? And because of these scientific studies of the surface of the materials—so they identify with what objects are they cutting and burnishing and polishing these materials, and then they can identify whether they have been made in Tenochtitlán or not. So whether something is cut, for example, with obsidian or basalt will leave different marks and then indicate what culture produced them. CUNO: Right. Kim, what about this surprising object, a feather mosaic, as it’s described, dating from the mid-16th century? RICHTER: We stand here before The Mass of Saint Gregory, in the final section of the exhibition that we call For New Gods and Kings. And we created this section because we didn’t want to end with the arrival of the Spaniards and imply that with the arrival of the Spanish, Spaniards’ indigenous traditions came to an end. So it was really important for us to include some colonial works that show the continuation of indigenous artistic traditions throughout the sixteenth century and beyond. And so what we see here is actually a feather painting, which is really astonishing. If you see it from afar it looks like a regular painting. But everything that looks like brushstrokes are individual tiny, little pieces of feathers that have been attached with orchid glue to a wood backing. And it is the earliest surviving work from the colonial period. CUNO: The imagery of Saint Gregory looks European in style. Do we know what the imagery is based on, and what about the text that seems to frame the work? RICHTER: It is the earliest surviving featherwork from the colonial period. 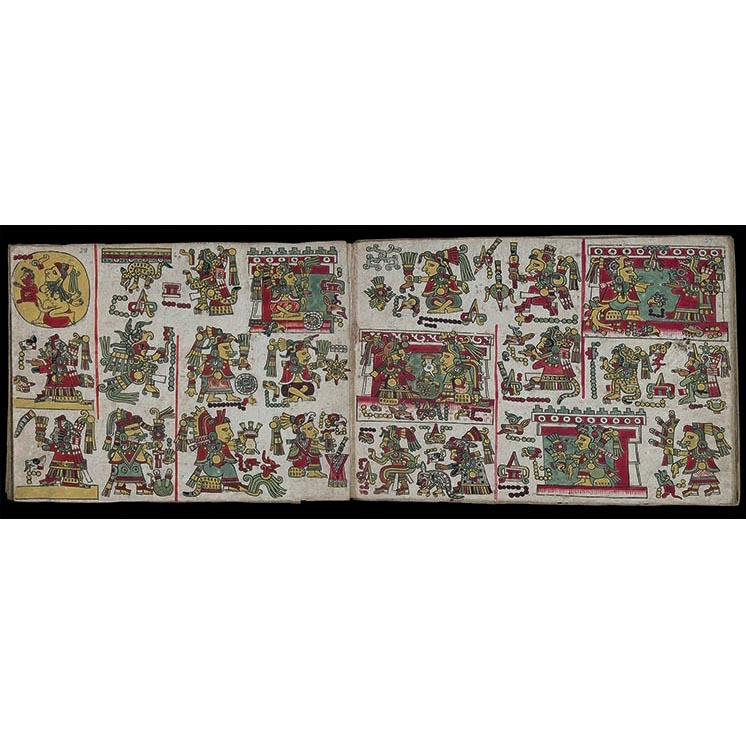 It is based on a European print that came to the Americas early on. And it was a—probably a Netherlandish print that shows the scene of the mass of Saint Gregory. Not only is it gorgeous, with these iridescent feathers from the blue cotinga and the green hummingbird feathers that shimmer, but it has a text. And so we learn that this feather painting was made as a gift for Pope Paul III. And it was commissioned by Don Diego de Alvarado Huanitzin, who was the indigenous governor of Mexico at the time. And then the other person mentioned is Fray Pedro de Gante, who was a Franciscan priest, one of the earliest to arrive in what is at this point New Spain. And he founded a school called San Juan de los Naturales, right on top of the aviary that previously was the imperial aviary of Moctezuma, the Aztec emperor. And in this missionary school they not only taught the humanities, the European humanities, and about Christian topics and so on, but they also taught the indigenous craft of feather painting and making objects of feathers. And so we see here a combination of traditions that come together, Christian iconography with indigenous feather working. CUNO: Can you tell us more about who may have made this work and why? 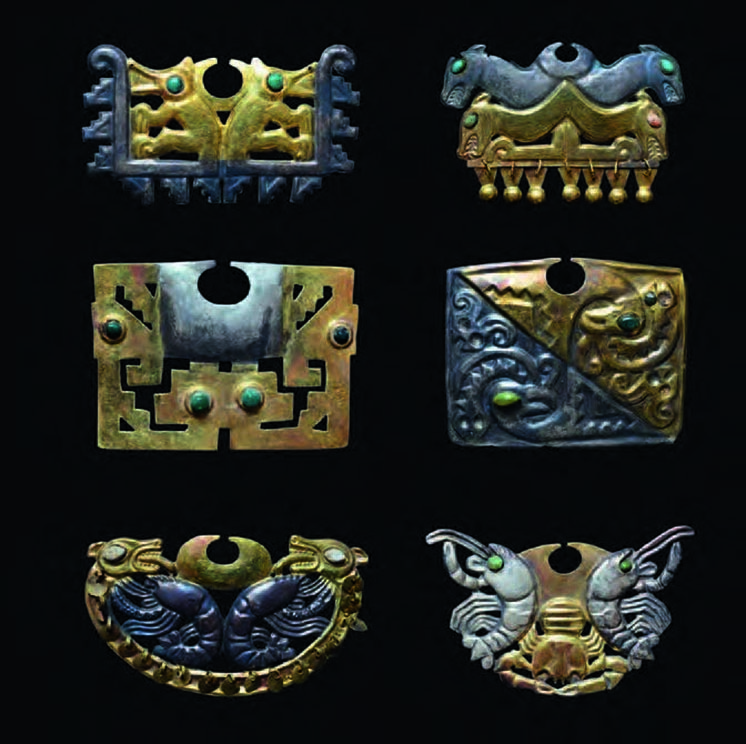 RICHTER: Feather working was one of the most prized arts of the Aztecs. This is a group called the amantecah, the feather workers. In the pre-Columbian period, they lived really close to the royal, imperial palace. This piece was created as a gift to Pope Paul III, was because only two years earlier, he had issues a papal bull declaring that the indigenous people were rational human beings. This was actually a fervent debate going on in the decades prior ever since the discovery of the Americas: were they even human? And so he, at least in—theoretically, put an end to this debate by making this declaration. Of course, unfortunately, indigenous people continued to be enslaved afterwards. But once the news of this papal bull arrived in the Americas, of course, people were pretty exalted. And Don Diego decided to make this gift. The idea to the pope was that anybody who can plan, so carefully procure and plan out and create these impressive works must be rational. CUNO: And so, what do we see depicted in the scene itself? RICHTER: What we see here is a sixth century scene that was a legend about Saint Gregory. And we can imagine that this was probably early Christian propaganda to help spread Christian faiths in sixth century Europe at the time. And it deals with the miracle of transubstantiation. So Saint Gregory is performing mass, and someone in the congregation doubts this miracle of transubstantiation, which is the dogma that the host, the Eucharist, turns into the body and blood of Christ. And so he performs the mass, and at that moment, the body of Christ appears as the Man of Sorrow. So we see Christ emerging from the altar, bleeding because he has been hung from the cross. In this case, we see his arms crossed, but we see the blood coming from his hands, where he would’ve been nailed to the cross. And then we see the implements of the Passion. So for example the nails with which he was nailed to the cross, et cetera. And so of course, this iconography is of course also extremely potent in the New World in the sixteenth century, where the Spanish missionaries are trying to spread the Christian faith to the indigenous population. And so it would’ve been really a poignant message to send back to the pope. CUNO: Well, it’s an extraordinary exhibition filled with remarkably beautiful and powerful things. You’ve been working on this for years and you’ve been traveling around trying to persuade people to lend you these extraordinarily beautiful, delicate, wonderful, powerful, heavy, fragile things. What got away from you that is not in the exhibition? And we should acknowledge, these come from how many different museums and how many different countries? RICHTER: We have about 300 objects from fifty-six lenders from thirteen countries. And we made an extraordinary, some might say crazy, effort to really get a lot of loans from Latin America. And we’ve been working with extensive, important advisory board of scholars from Latin America and the US, who have been advising us on the selection of the objects. In some cases, there are archaeologists who excavated these very objects. And so we’ve been extraordinarily lucky, in terms—well, we worked also very hard in order to get these loans, but we have been very lucky in terms of the loans that we have been able to get. POTTS: And so mostly, the things that couldn’t travel is really mostly for conservation reasons. They were so either large and fragile, like some stone reliefs, or delicate, made of organic materials, where they’re just so fragile that any movement at all can be a bit dangerous. But all the museums were incredibly generous in what they’ve allowed out. Many of these things have never left their source countries, or sometimes the site in which they were found before. So we’re really privileged to have such an extraordinary group here in Los Angeles. PILLSBURY: Yes, we had great good fortune with our loans. And I think part of the reason was in our research travels and working collaboratively with scholars in so many different countries. And when we would describe the objectives of the project and this idea of imagining art moving across borders—you know, these are things that move around. And working on a project collaboratively with scholars in different countries, it’s not that common in this field. And I think when the lenders heard about what we wanted to do, even though they would first tell us, “Oh, no, we never lend that; that never leaves,” when they heard about the objectives and how important these specific works would be because of their rich histories and how they would be part of this broader narrative, we were very fortunate to unlock some loans that normally we would not be able to do. CUNO: Yeah, well, it’s a triumph. Really, you deserve all the greatest acclaim for this exhibition. Not only because of its beauty but because of what you’ve taught us about these ancient cultures and the role of luxury in those cultures. So thank you so much. Golden Kingdoms is on view at the Getty Center through January 28, 2018, and will travel to the Metropolitan Museum in New York in February 2018. To learn about Pacific Standard Time and the exhibitions and events happening at more than 70 cultural institutions throughout Southern California, visit pacificstandardtime.org. Question of the Week: What Makes a Painting a Masterpiece?